In April, the YWCA Stand Against Racism event brought much-needed attention and ideas to the New Britain community about how to heal trauma caused by urban renewal. 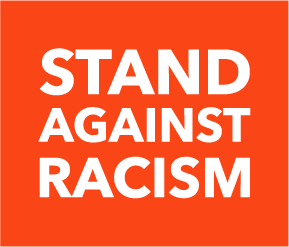 Stand Against Racism is a signature campaign of the YWCA to build community among those who work for racial justice and to raise awareness about the negative impact of institutional and structural racism in our communities. This campaign is one part of our larger strategy to fulfill our mission of eliminating racism. If you were unable to attend the event in person, videos of the presentation are now available. Please read the introduction from Dr. Sylvia Jalil-Gutierrez, adjunct professor in the department of anthropology at Central Connecticut State University and researcher at CCSU’s Center for Africana Studies. As part of YWCA New Britain's Stand Against Racism event in April, in collaboration with the Coalition for New Britain’s Youth and Central Connecticut State University, I conducted interviews with New Britain residents who lived through the changes New Britain undertook in the 1960s, 1970s, and 1980s. In addition, I did archival research at the New Britain Public Library’s Local History Room. Through this research, I came to understand the enormous impact urban renewal and redevelopment had on the residents of New Britain. As you will see in this video, the stories I heard speak of sadness, upheaval, loss of identity and loss of community. In particular, highway construction in the Hardware City, as New Britain was known due to the importance and influence of Stanley Works, stabbed a blow to a once thriving downtown. Furthermore, construction of the highway cut through the heart of New Britain’s African American community. As Dr. Mindy Fullilove so eloquently documents in her presentation and her books, Root Shock (2016) and Urban Alchemy (2013), this pattern of redevelopment in communities of color was nationwide. Decisions about redevelopment in New Britain did not take into account the voices of those who would be most impacted. As you watch this video, I ask you to consider, who has the right to the city—residents, citizens, powerbrokers or policymakers? You can also view the presentation on the intersection between trauma and urban development by Dr. Mindy Thompson Fullilove, professor of urban policy and health at The New School, here and the student panel discussion here. To read the news announcement about the event, click here.